Our product range includes a wide range of cable connector and cable assembly connectors. We offer Cable Connector that have wide applications in defense but also become a norm in various industrial applications. Wide ranging applications include medical, machine manufacturing, welding, sensors, lighting, process control, automation, etc. 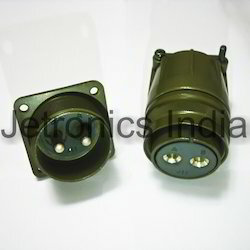 We have a wide range Cable Assembly Connectors from military to aerospace. They cater to various industries like medical, machine manufacturing, welding machines, testing machines, sensors, process control, automation, etc. Looking for Cable Connectors ?